When your vending equipment is out of service, you’re losing income. Don’t waste another dime, call Merchandiser Exchange for all your repair needs. 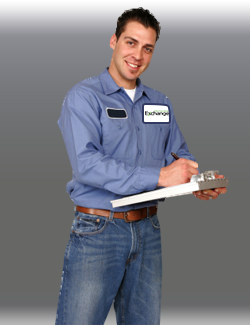 Our staff of highly trained technicians are ready to get your equipment back up and running immediately. In the majority of cases, our vast resources allow us to repair equipment same day. For those outside of our service area, we offer over-the-phone troubleshooting. All of our technicians are licensed to repair refrigerated equipment, such as ice makers and vending machines offering cold or frozen products.